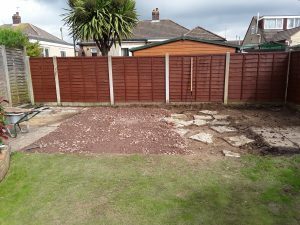 Client wanted to remove an old patio and build a new patio at the rear of their property. 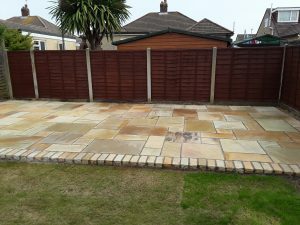 We have just completed the Fossil Mint Sandstone patio with matching brick retaining edge. As you can see the results are pretty impressive.